You guys rock! I want to say a big thank you to all of the hardworking sales professionals and entrepreneurs using SOCO Academy to learn how to increase sales. It’s your attitude to be a lifelong learner which will help you succeed in life and what motivates me to keep on putting out great content for you guys. Hey guys, it’s Tom here! And I’m so thrilled and excited to share with you some great news! As you probably know, we’ve won awards in the best sales training provider category in Singapore, Malaysia, and Hong Kong but what you may not know is that we’ve also won the award, check this out! We’ve also won an award in the best e-learning and mobile learning provider category. This one is near and dear to my heart. I’m so excited. Earlier today, I was actually checking the back end of Soco Academy and noticed that we’ve got hundreds of people from dozens of companies logging in all the time, throughout the day, watching our 50 over videos, downloading our dozens of PDF cheat sheets and just kind of chatting in our discussion group. So, if you haven’t tried it yet. 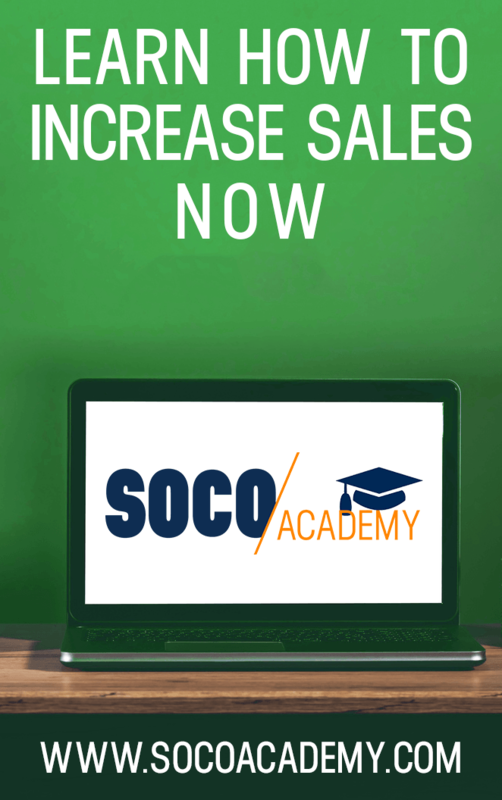 Log on to SocoAcademy.com and get started with your free trial today.